Professional-grade 550Z zero turn riding mowers are easy-to-use for homeowners, but come packed with all of the enhanced features you'd expect from a commercial lawn mower. Welded, all-steel construction and Hydro-Gear® ZT-3100® transaxles, this 550 zero turn riding mower the rugged durability needed to take on demanding terrain and tough jobs. •	Durable Hydro-Gear® Transaxles: Built for high-performance applications, the Hydro-Gear® ZT-3100® hydrostatic transmission deliver a smooth grass cutting experience while changing directions and speeds. •	Fast Mowing: Wide, heavy-duty fabricated mower decks cuts grass in no time with speeds up to 8 mph. Not to mention are backed by a limited-lifetime warranty*. •	Simple Height-of-Cut: Convenient deck-lift easily adjusts grass cut height from 1.5" to 4.5". •	Service-Friendly: Access to the top of the deck via removable panel for service-friendly mower maintenance. •	Powerful Kawasaki® Engine: Built for power, the Kawasaki® FR Series Engine offers smooth power output and outstanding durability in a compact design. •	Intuitive Controls: Easy-to-use lawn mower controls, including a fuel-level indicator, are all conveniently located within hand's reach. 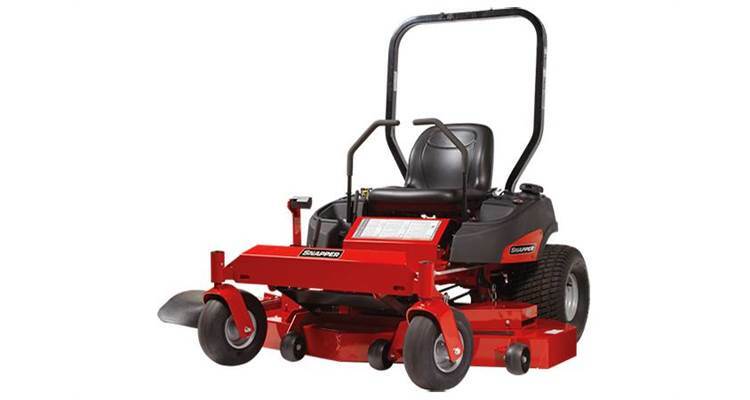 •	Strong Mower Frame: Just because you don’t mow the lawn for a living doesn’t mean you can’t appreciate commercial mower quality from heavy-duty, welded construction and steel front axle to an all-steel, wrap-around engine enclosure.